For more than 21 years, we’ve been using the safest methods of treatment, always keeping in mind the health of your family and pets, while effectively controlling termites, pests, and rodents. We will continue to proudly stand by our name The NO-NONSENSE Termite Company! The No-Nonsense Termite Company is a family owned business since 1996, offering the most complete termite and pest control service in Southern California. Call our office anytime and our friendly staff will help you schedule an appointment with one of our licensed inspectors to stop by your home or business and give you a FREE inspection! Whether you’re troubled by termites, rodents, ants, roaches, spiders, fleas or any other creepy crawler, our trained specialists can be depended upon to handle the job. All of our technicians are fully licensed and insured for your protection and peace of mind. You can be confident that you’ll receive excellent service, along with the personal attention that has placed The No-Nonsense Termite Company ahead of the rest. In addition to our safe chemical treatments, we also do all of our own wood repairs & replacement, insulation removal and installation, piers and pads for mobile homes, escrow reports and clearances, and all of our work is covered under our Home Protection Plan warranty! We specialize in local treatment, providing you a safe & fast solution with a long-lasting effect. 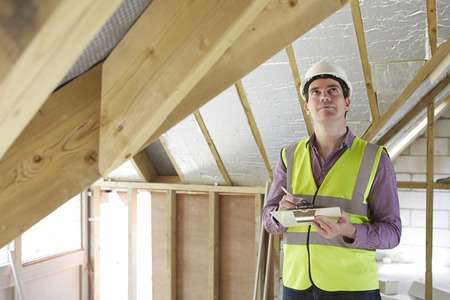 Every project is performed by our experienced by our licensed inspectors / carpenters. All new lumber is pre-treated, double primed, and finish painted. 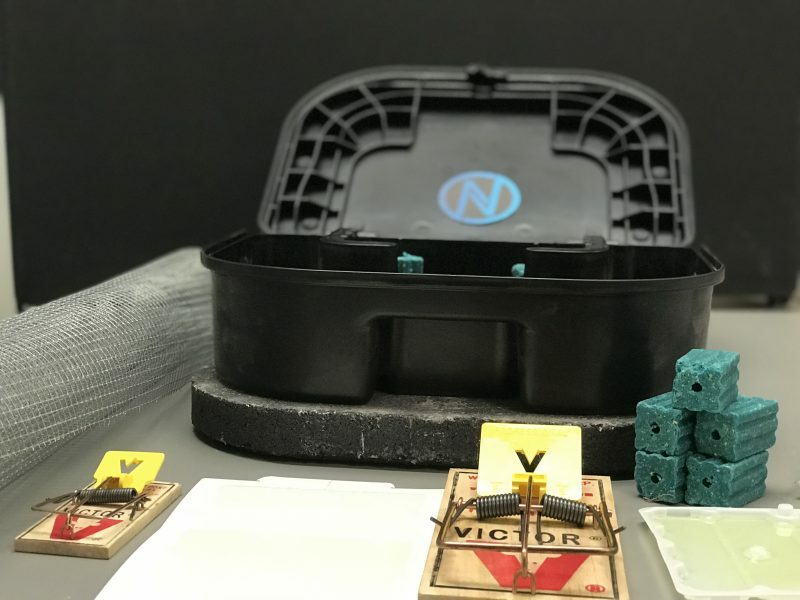 We offer a wide variety of solutions including, but not limited to: trapping, sealing entry points, baiting, sanitizing, and providing ongoing maintenance. When you’re buying, selling, or refinancing, we know timing is crucial, which is why we can provide same-day inspections, reports, and clearances. 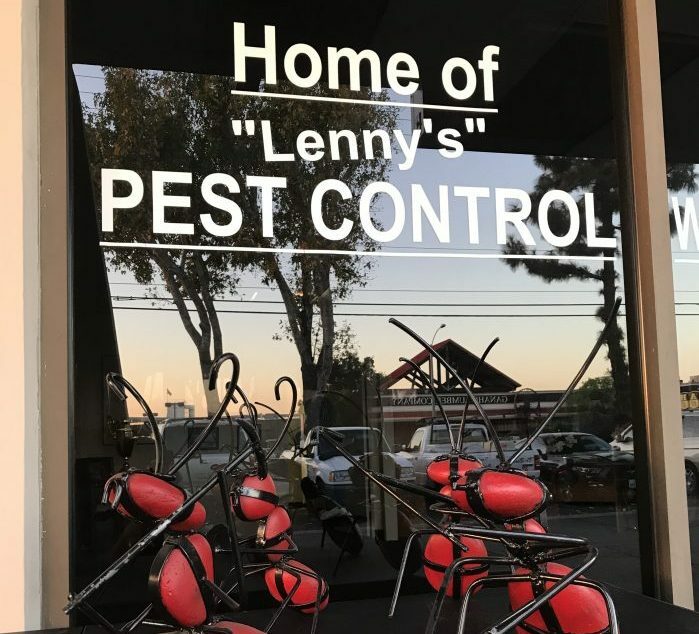 At Lenny’s Pest Control, we specialize in general pest treatments at residential & commercial properties. We take care of roaches, ants & spiders. Rodent infestations in your attic are dangerous. 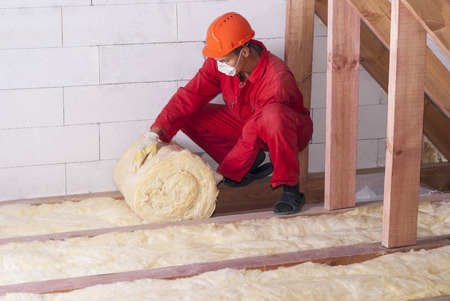 We can protect your home by replacing your insulation while disinfecting and sanitizing your attic. From the initial contact from Samantha by email, to the inspection and consult by Alex and the work performed by David and Miller, the entire experience was first rate. I was ecstatic to learn of the treatment method and we would not have to move out for three or four days while the house was tented. From the initial contact from Samantha by email, to the inspection and consult by Alex and the work performed by David and Miller, the entire experience was first rate. I was ecstatic to learn of the treatment method and we would not have to move out for three or four days while the house was tented. We have two dogs, two gecko lizards, and a large aquarium and was greatly relieved to learn they would not be affected. As a retired real estate broker, I believe their price was very competitive, especially considering we didn’t have to cover the costs of a pet-friendly hotel for three or more days. The guarantee is excellent and the annual service agreement, which I’m sure we’ll get, is very reasonable. Finding these folks was a blessing. Very happy with the experience. Over the past several years, we have hired six pest control companies to tackle our rodent issue none of which were successful. Their solution was limited to placing traps in our attic. After deciding to give it one last try, we visited the Home Advisor website and within minutes, received a call from Kenny with No-Nonsense Pest Control. Kenny visited our home and did a thorough walk through of our attic, inspected our roof and the outside of our house. He pointed out areas of wood rot on the fascia boards and eaves which we told him we were aware, but having problems finding a company to replace them as it was considered a small job which apparently, no one wanted to take on. Kenny let us know that their company was a licensed contractor and could replace the boards and verify if this was wood rot or termite damage. Impressed by Kenny’s honesty and professionalism, we hired No-Nonsense. 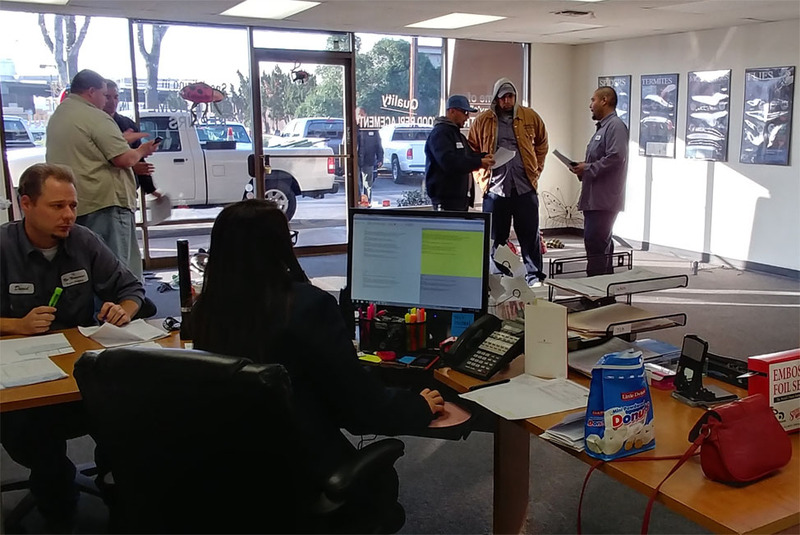 After negotiating a fair price, Cesar (general manager) arranged for a team to handle the rodent issue and another to take care of the wood work which including replacing fascia boards and our patio cover. He also followed up on our project by making spot checks. Kenny located a couple of sections on the roof where the critters could be entering and sealed those areas. He also set traps in the attic and checked these areas on follow-up visits. We are happy to report that since this work was done all has been quiet. We were so impressed with their work that we will continue with their quarterly pest control service. Joseph and his team handled the wood work projects. Not only did they do an excellent job replacing, painting and sealing the wood, but they also cleaned up every afternoon before they left our house! And when a couple of issues arose, Joseph presented reasonable solutions which made the project go smoothly and stay on track. 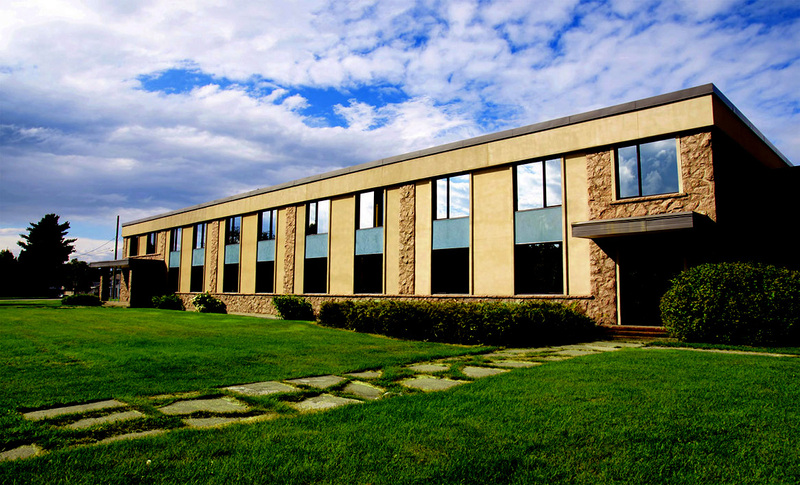 We sincerely enjoyed working with this team at No-Nonsense and appreciate their quality work and attention to detail. Truly a great group of people who not only take pride in their work, but in offering excellent customer service. We could not be more pleased with the end results! No Nonsense did a terrific job for me. I’d had several termite inspectors from several companies check out my property. Descriptions of the work to be done varied dramatically from one company to the next and were confusing in every case. Cost estimates ran from medium to rip off. No Nonsense did a terrific job for me. I’d had several termite inspectors from several companies check out my property. Descriptions of the work to be done varied dramatically from one company to the next and were confusing in every case. Cost estimates ran from medium to rip off. Christopher at No Nonsense did a thorough job at a fair price and explained well what he was doing and why he did it that way. I appreciate a good supplier. These guys are great! I’ve been using No Nonsense as termite control for about 10 years and highly recommend using them. I am on an on-going membership and they come out and treat anytime I see evidence of termites for a reasonable annual fee. The provide great service and know what they are doing – very knowledgeable and helpful in dealing with termites. I also like the non-harmful- to-pets product they use because I have 2 indoor cats and would worry about health issues otherwise. It&#39;s also nice to see the same people over time, and they know me and my place and where issues were in the past. I’m so happy I found this company to treat the termites. They sent Cesar, the general manager, out to meet us for the assessment and quote for the work that was needed. He instilled a sense of trust and honesty immediately. We had originally had Terminix come out and give a quote. They said we had to tent the house right off the bat. They sent Cesar, the general manager, out to meet us for the assessment and quote for the work that was needed. He instilled a sense of trust and honesty immediately. We had originally had Terminix come out and give a quote. They said we had to tent the house right off the bat. Cesar told us that their company could do a local treatment for the trouble areas. They offered 3 levels of treatment ranging from the most economic to the more aggressive treatment. We opted for the highest level. They sprayed our entire attic and all garage wood with the chemicals, they even cleaned the termite droppings. They also drilled holes and injected chemical on the outside of the house to deal with the subterranean termites attacking our patio. Cesar also pointed out the damaged wood in our rafters, patio and main beams and advised that we could either have a private contractor repair the damage or their company could do the work. We opted to have no-nonsense termite co perform the work. We wanted it done, right. The outcome exceeded our expectations. Our new front wood beam looks great along with all the other repairs we requested!! The best thing was the communication back and forth with this company. They were straight forward, and told us what needed to be done and gave us options. The &quot;other&quot; company didn&#39;t give us any options at all and did not offer repair of any of the damaged wood. We basically had one and only one option. We didn&#39;t like that very much. They were not very thorough, nor did they explain their findings whereas no-nonsense termite company explained everything in details we could understand. I would highly recommend this company and we plan on renewing our warranty once the year is up. They have a $200 termite control offer for Angie&#39;s list members which we plan on continuing with once our 1 year warranty is up. We greatly appreciate the work and the service received by Cesar and Ramon. They&#39;re truly professional and great at what they do. I couldn&#39;t boast and commend them for all of their work. They&#39;re great people in my book. Keep in mind that this is a family owned business, so the customer service is definitely there. They were professional from the beginning to the end. They provided stellar services. We will definitely be using their services in the future. You have a fan in us!! Thank you to Cesar, Ramon, and No Non-sense Termite Co. The type of work that we seriously needed was termite treatment and wood repair. We researched and looked into termite companies diligently. We wanted the best and we were looking for nothing less than &quot;A grade&quot;. We were looking to get wood repair from wood damage that we saw, after tearing our walls down. 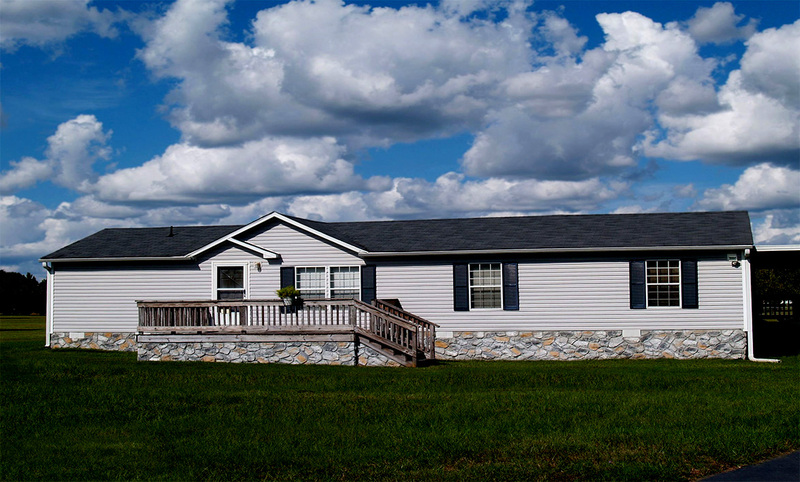 We had three companies give us free estimates and chose No-Nonsense as they have extensive knowledge of working with mobile homes as they are not built the same as houses. 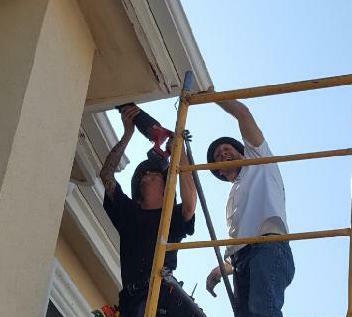 (I&#39;m sure they are equally knowledgeable working with houses) . They were the only Company that would agree to chemical treatment of the outside walls rather than tenting the building. At our advanced age we did not want the disruption of the tenting, all the preparation and the loss of our beautiful plants on the patio and those surrounding our home. We now have an annual inspection and treatment contract with them so we have peace of mind. They were able to accomplish all this in one day with no needed preparation on our part. We are impressed with the knowledge of the Company Representative and the expert that did the work. We thought it was a fair price and are so pleased with the result. Chemical treatment for dry wood termites inserted in all outside walls of our mobile home. The holes made in the walls were filled in so they do not show. Furniture was moved as necessary. Floors were cleaned of debris. Chemical treatment for subterranean termites under the coach and removal of all wood and debris under the coach. Cesar gave us such wonderful service! 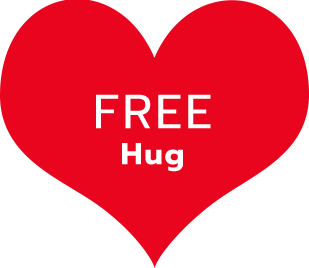 We have a rental that was getting new tenants within the week so we needed service asap. When Cesar came out to inspect, he found areas that needed treatments. At first, he said they were 2-3 weeks out for repairs. Cesar gave us such wonderful service! We have a rental that was getting new tenants within the week so we needed service asap. When Cesar came out to inspect, he found areas that needed treatments. At first, he said they were 2-3 weeks out for repairs. This didn’t work with our 3-5 day move in! Somehow, Cesar magically shifted the schedule and got workers out to do the job in 2 days. We’re so happy he did. We also use No Nonsense for our home and have for years. So does my 92 year old mom! Highly recommended. I never thought I would be reviewing a termite company but this one is hands down the best! All of the associates were clean, on time, and very personable. They didn’t try to “upsell” me but rather were honest and sold me exactly what I needed. I never thought I would be reviewing a termite company but this one is hands down the best! All of the associates were clean, on time, and very personable. They didn’t try to “upsell” me but rather were honest and sold me exactly what I needed. Their warranty is just as great as their expensive competitors! I would recommend No Nonsense to all of my family and friends!! No Nonsense is a top professionally run termite control company. Alex came out to the house, did a very thorough inspection that took about 60 minutes, going underneath the house, in the attic crawlspace, outside around the house and in the garage. No Nonsense is a top professionally run termite control company. Alex came out to the house, did a very thorough inspection that took about 60 minutes, going underneath the house, in the attic crawlspace, outside around the house and in the garage. Total square feet of the house is 2,900 sq. ft, all on one story, so this was no small task. After completing the inspection, he gave a formal presentation, our options, his recommendations, and the prices. His prices are very fair and are all encompassing, meaning there will be no add-ons later and no surprises when they come to do the work. We decided to take the chemical treatment (no tenting was necessary he said)) and explained the entire process. By the way, don’t waste your money on orange oil as it doesn’t last long after applied, but it was an option. The appointment was set for one week later. When the two termite controllers came to the house, they were very professional, polite, and knew exactly what to do after consulting with Alex and watching the cell phone videos he took of our infested areas, which were quite extensive. The two men did not ask us to do any moving of the boxes or containers in the garage and were very neat. They covered everything I had stored in the garage as they sprayed the wood, patched the few holes they drilled in the concrete to kill subterranean termites, and even washed the floor to make sure no spray residue remained. Under the house they sprayed all the dirt with a chemical that last at least fifteen years in killing termites, all with eco-friendly California approved non-toxic to chemicals to human and pets. For the attic, they drilled into affect wood and injected chemicals into all infected wood to kill existing and future termites. 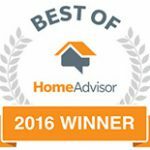 IN summary, I would recommend these guys to everyone that has a home. 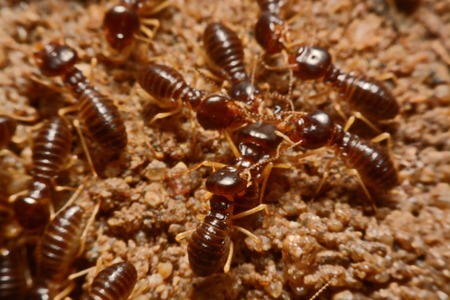 There is no home in California that doesn’t have termites so call them for a free inspection. Waiting too long only means you will be paying to replace a lot of wood later. This company is top-notch and worth every penny. Redeem these coupons by presenting them at: The No-Nonsense Termite Company 1201 E. Ball Road, Suite V Anaheim CA 92805 714-635-5111 Must mention coupon on initial appointment or contact. Ask us for official restrictions and terms of services. Get Started Today. We Don’t Charge for 2nd Opinions! We offer services in Anaheim, Fullerton, Yorba Linda, Brea, Long Beach, Santa Ana, Buena Park, Cypress, Los Alamitos, Garden Grove and all of Orange and Los Angeles Counties. © 2018 The No-Nonsense Termite Company, All Rights Reserved.